'The Mountains of Moab' - the Diary of a British Cavalryman 1908 - 1919. Holbrook House is pleased to announce a fascinating talk on the personal account of Corporal Edward Victor Godrich of the Queen's Own Worcestershire Hussars. The talk will be conducted by Dr. John Godrich, who has edited his father's diary and has now published this fascinating account of a British Cavalryman between 1908 & 1919. Edward Godrich joined the Territorial Army in 1905, aged 1. At the outbreak of World War One he was shipped, with his horse, to Egypt and was soon posted to the Suvla Bay landing in Gallipoli on account of his machine gun training. He succumbed to typhoid fever and fell asleep on duty, for which the penalty could be execution. After recovering in England he rejoined his regiment in time for the Cavalry charge on the Turkish guns at Huj and took part in the battles at Gaza. After Jerusalem's liberation he wintered in the freezing cold of the Moabite mountains of Judaea, among scorpions and enemy bullets. 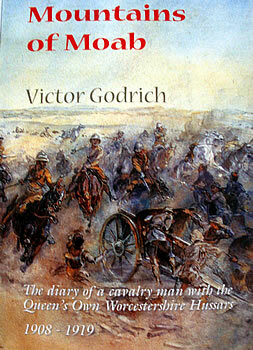 This is a truthful story related by a pleasant low-ranked mounted horseman with a good grammar school education; written in a friendly unbiased way even when at death's door, taking one with him through the trenches, the deserts and mountains in the close-knit life of a County Cavalry Regiment. The talk will include a presentation of pictures of Edward's time in the Cavalry and John will be available to answer any questions. Copies of the book will be available to purchase on the day and John will be more than happy to sign. Places are limited so to reserve your seat or for more information please contact Steve Lee on 01963 828844 or email . 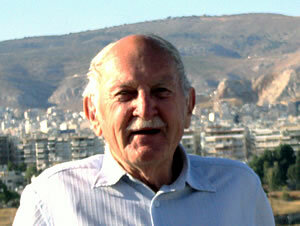 I am pleased to report that the talk went well & Dr John Godrich delievered an informative talk. I was encouraged by the local representation. The act of remembering all those that fought for 'our tommorow', in two World Wars, is an important part of my research work.